"I could never keep that dog off the couch." Scooby-Doo is a popular and long-running American animated television series produced for Saturday morning television by Hanna-Barbera Productions (now Cartoon Network Studios) in several different versions from 1969 to the present. 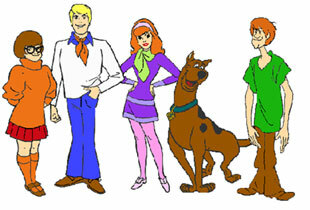 Though the format of the show and the cast (and ages) of characters have varied significantly over the years, the most familiar versions of the show feature a talking Great Dane named Scooby-Doo and four teenagers : Fred "Freddie" Jones, Daphne Blake, Velma Dinkley, and Norville "Shaggy" Rogers. These five characters (officially referred to collectively as "Mystery, Inc.", but never referred to as such in the original series) drive around the world in a van called the "Mystery Machine," and solve mysteries typically involving tales of ghosts and other supernatural forces. At the end of each episode, the supernatural forces turn out to have a rational explanation (usually a criminal of some sort trying to scare people away so that they can commit crimes). 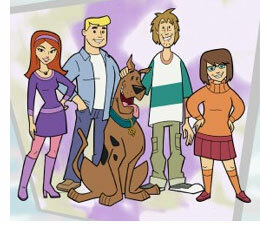 Later versions of the show featured different variations on the supernatural theme of the show, and include additional characters, such as Scooby's cousin Scooby-Dum and nephew Scrappy-Doo, in addition to or instead of some of the original characters. Scooby-Doo was originally broadcast on CBS from 1969 to 1976, when it moved to ABC. 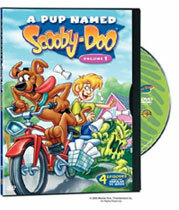 ABC cancelled the show in 1986, but presented a spin-off, A Pup Named Scooby-Doo, from 1988 until 1991. A new Scooby-Doo series, What's New, Scooby-Doo?, aired on the WB Network during the Kids' WB! programming block from 2002 until 2005, with Shaggy & Scooby-Doo Get a Clue! set to take its place on the new CW network in fall 2006. Repeats of the original series, as well as second-run episodes of the current series, are broadcast frequently on the Cartoon Network in the United States and other countries. In 1968, a number of parental watchdog groups began vocally protesting what they perceived as an excessive amount of gratuitous violence in Saturday morning cartoons. 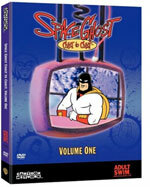 Most of these shows were action cartoons such as Space Ghost (later reinvented on The Cartoon Network as the slightly addled host of a celebrity gabfest) and The Herculoids, and virtually all of them were cancelled by 1969 because of pressure from the watchgroups. Fred Silverman, executive in charge of children's programming for the CBS network, was looking for a show that would revitalize his Saturday morning line-up and please the watchdog groups at the same time. The result was The Archie Show. Silverman was eager to expand upon this success, and contacted producers William Hanna and Joseph Barbera about possibly creating another show based around a teenage rock-group, but with an extra element: the kids would solve mysteries in-between their gigs. 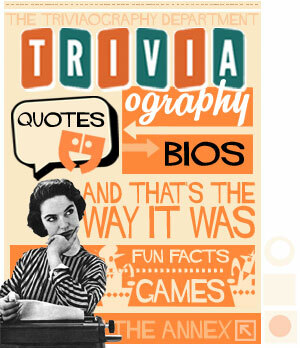 Silverman envisioned the show as a cross between the popular I Love a Mystery radio serials of the 1940s and the popular early 1960s TV show The Many Loves of Dobie Gillis. 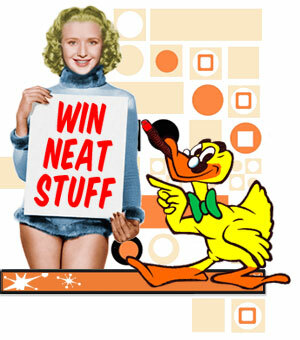 Hanna and Barbera passed this task along to two of their head storymen, Joe Ruby and Ken Spears, and artist/character designer Iwao Takamoto. Their original concept of the show bore the title Mysteries Five, and featured five teens (Geoff, Mike, Kelly, Linda, and Linda's brother "W.W.") and their dog, Too Much, who were all in a band called "The Mysteries Five" (even the dog; he played the bongos). When "The Mysteries Five" weren't performing at gigs, they were out solving spooky mysteries involving ghosts, zombies, and other supernatural creatures. Ruby and Spears couldn't decide whether to make their dog a large goofy Great Dane or a big shaggy sheepdog. After consulting with Barbera on the issue, Too Much was finally set as a Great Dane, primarily to avoid a direct correlation to The Archies, who had a sheepdog, Hot Dog, in their band. Takamoto consulted a studio colleague who happened to be a breeder of Great Danes. After learning the characteristics of a prize-winning Great Dane from her, Takamoto proceeded to break most of the rules and designed Too Much with overly bowed legs, a double-chin, and a sloped back, among other abnormalities. By the time the show was ready for presentation by Silverman, a few more things had changed: Geoff and Mike were merged into one character called "Ronnie" (later renamed "Fred", at Silverman's behest), Kelly was renamed to "Daphne", Linda was now called "Velma", and Shaggy (formerly "W.W.") was no longer her brother. Also, Silverman, not being very fond of the name Mysteries Five, had rechristened the show Who's S-S-Scared? Using storyboards, presentation boards, and a short completed animation sequence, Silverman presented Who's S-S-Scared? 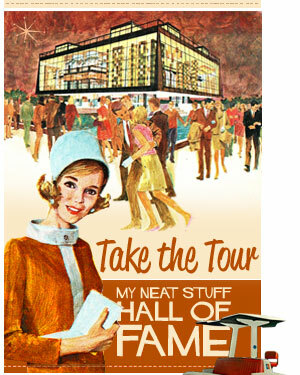 to the CBS executives as the centerpiece for the upcoming 19691970 season's Saturday morning cartoon block. The executives felt that the presentation artwork was far too frightening for young viewers, and, thinking the show would be the same, decided to pass on it. Now without a centerpiece for the upcoming season's programming, Silverman turned to Ruby and Spears, who reworked the show to make it more comedic and less frightening. They dropped the rock band element, and began to focus more attention on Shaggy and Too Much. According to Ruby and Spears, Silverman was inspired by an ad-lib he heard in Frank Sinatra's interpretation of Bert Kaempfert's song "Strangers in the Night" on the way out to one of their meetings, and decided to rename the dog "Scooby-Doo" and re-rechristened the show Scooby-Doo, Where are You! 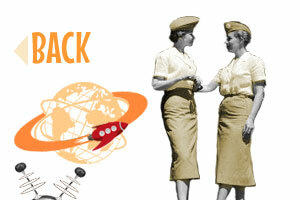 The revised show was re-presented to CBS executives, who approved it for production. Scooby-Doo, Where are You! 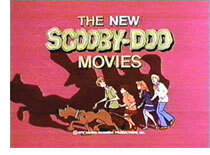 made its CBS network debut on Saturday, September 13, 1969 and seventeen episodes of Scooby-Doo were produced. The influences of I Love a Mystery and Dobie Gillis were especially apparent in these early episodes. 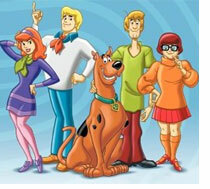 Fred was based on Dobie, Velma on Zelda, Daphne on Thalia and Shaggy on Maynard. The similarities between Shaggy and Maynard are the most noticeable; both characters share the same beatnik-style goatee, similar hairstyles, and demeanours. 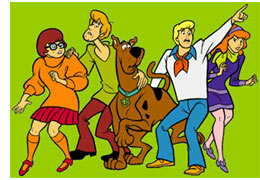 The roles of each character are strongly defined in the series: Fred is the leader and the determined detective, Velma is the intelligent analyst, Daphne is danger-prone and vain, and Shaggy and Scooby-Doo are cowardly types more motivated by hunger than any desire to solve mysteries. Later versions of the show would make slight changes to the characters' established roles, most notably in the character of Daphne, shown in 1990s and 2000s Scooby-Doo productions as knowing many forms of karate and being able to defend herself. The plot of each Scooby-Doo episode followed a formula that would serve as a template for many of the later incarnations of the series. At the beginning of the episode, the Mystery, Inc. gang bump into some type of evil ghost or a monster, which they learn has been terrorizing the local populace. The teens offer to help solve the mystery behind the creature, but while looking for clues and suspects, the gang (and in particularly Shaggy and Scooby) run into the monster, who always gives chase. However, after analyzing the clues they have found, the gang determines that this monster is simply a mere mortal in disguise. They capture the monster and have the criminal behind the mask or costume arrested. Scooby-Doo, Where Are You! was a major ratings success for CBS, and they renewed it for a second season in 1970. The eight 1970 episodes of Scooby-Doo, Where Are You! differed slightly from the first-season episodes in their uses of more slapstick humor. Both seasons contained a laugh track, which was the standard practice for U.S. cartoon series during the 1960s and 1970s. In 1972, after 25 half-hour episodes, the program was doubled to a full hour and called The New Scooby-Doo Movies; each episode of which featured a different guest star helping the gang solve mysteries. Among the most notable of these guest stars were The Harlem Globetrotters, The Three Stooges, Don Knotts, and Batman & Robin, who all appeared at least twice on the show. 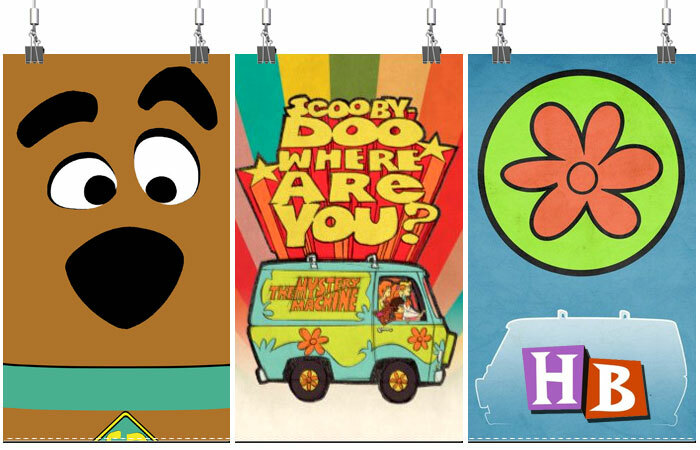 After two seasons and 24 episodes of the New Movies format from 1972 to 1974, the show went to reruns of the original series until Scooby moved to ABC in 1976. 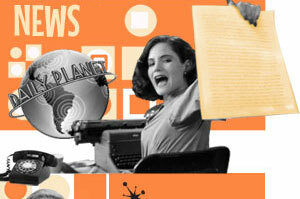 On ABC, the show went through almost yearly format changes. For their 1976 - 1977 season, new episodes of Scooby-Doo were joined with a new H-B show, Dynomutt, Dog Wonder, to create The Scooby-Doo/Dynomutt Hour (It became The Scooby-Doo/Dynomutt Show when a bonus Scooby-Doo, Where are You! rerun was added to it in November 1976). This hour-long package show later evolved into the longer programming blocks Scooby's All-Star Laff-a-Lympics (1977 - 1978) and Scooby's All-Stars (1978 - 1979). New Scooby episodes, in the original Scooby-Doo, Where Are You! format, were produced for each of these three seasons. Four of these episodes featured Scooby's dim-witted country cousin Scooby-Dum as a semi-regular character. The Scooby-Doo episodes produced during these three seasons were later packaged together for syndication as The Scooby-Doo Show, under which title they continue to air. In 1979, Scooby's tiny nephew Scrappy-Doo was added to both the series and the billing, in an attempt to boost Scooby-Doo's slipping ratings. 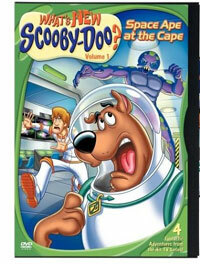 The 19791980 episodes, aired under the title Scooby-Doo and Scrappy-Doo, succeeded in regenerating interest in the show, and as a result, the entire show was overhauled in 1980 to focus on Scrappy-Doo. Fred, Daphne, and Velma were dropped from the series, and the new Scooby-Doo and Scrappy-Doo format was now comprised of three seven-minute comedic adventures starring Scooby, Scrappy, and Shaggy instead of one half-hour mystery. This version of Scooby-Doo and Scrappy-Doo aired as part of The Richie Rich/Scooby-Doo Show from 1980 to 1982, and as part of The Scooby-Doo/Scrappy-Doo/Puppy Hour from 1982 to 1983. Most of the supernatural villains in the seven-minute Scooby and Scrappy cartoons, who in previous Scooby series had been revealed to be human criminals in costume, were now "real" within the context of the series. Daphne returned to the cast for The All-New Scooby and Scrappy-Doo Show, which comprised two 11-minute episodes in a format reminiscent of the original Scooby-Doo, Where Are You! mysteries. This version of the show lasted for two seasons, with the second season airing under the title The New Scooby-Doo Mysteries and featuring semi-regular appearances from Fred and Velma. 1985 saw the debut of The 13 Ghosts of Scooby-Doo, which featured Daphne, Shaggy, Scooby, Scrappy, and new characters Flim-Flam and Vincent Van Ghoul (based upon and voiced by Vincent Price) traveling the globe to capture "thirteen of the most terrifying ghosts and ghouls on the face of the earth." The 13 Ghosts of Scooby-Doo was cancelled in March 1986, and no new Scooby series aired on the network for the next two years. Hanna-Barbera reincarnated the original Scooby-Doo, Where Are You! cast as junior high school students for A Pup Named Scooby-Doo, which debuted on ABC in 1988. A Pup Named Scooby-Doo was an irreverent, zany re-imagining of the series, heavily inspired by the classic cartoons of Tex Avery and Bob Clampett, and eschewed the quasi-reality of the original Scooby series for a more Looney Tunes-like style. The retooled show was a success, and lasted until 1991. 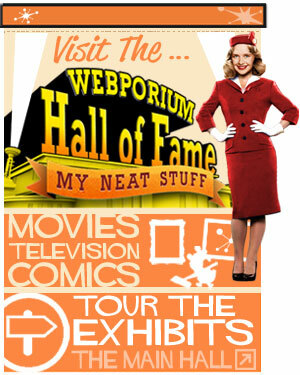 Reruns of the show have been in syndication since the mid-1980s, and have also been shown on cable television networks. Having established a successful formula, Hanna-Barbera then proceeded to repeat it many times over. By the time Scooby-Doo had its first format change in 1972, Hanna-Barbera had produced three other teenager-based shows that were very similar to Scooby in concept and execution: Josie and the Pussycats (1970), which resurrected the idea of the rock band to the teenage-crime-fighter formula; The Pebbles and Bamm-Bamm Show (1971), which re-imagined the toddlers from The Flintstones as high-school students; and the most blatant Scooby clone, The Funky Phantom (also 1971), which featured three teens, a real ghost and his ghostly cat solving spooky mysteries. Later cartoons such as The Amazing Chan and the Chan Clan (1972); Goober and the Ghost Chasers, Speed Buggy, Butch Cassidy and the Sundance Kids (1973); Clue Club and Jabberjaw (both 1976); Captain Caveman and the Teen Angels (1977); Buford and the Galloping Ghost (1978); and the Pebbles, Dino, and Bamm-Bamm segments of The Flintstone Funnies (1980) would all involve groups of teenagers solving mysteries or fighting crime in the same vein as Scooby-Doo, usually with the help of a wacky animal, ghost, etc. For example, Speed Buggy featured three teens and a talking dune buggy in the role of "Scooby", while Jabberjaw used four teens and a talking shark. Some of these shows even used the same voice actors and score cues. Even outside studios got in on the act: when Joe Ruby and Ken Spears left H-B in 1977 and started Ruby-Spears Productions, their first cartoon was Fangface, yet another mystery-solving Scooby clone. During the 1970s, the imitating programs successfully coexisted alongside Scooby on Saturday mornings. Most of the mystery-solving Hanna-Barbera shows made before 1975 were featured on CBS, and when Fred Silverman moved from CBS to ABC in 1975, the mystery-solving shows, including Scooby-Doo, followed him. The Scooby-Doo characters first appeared outside of their regular Saturday morning format in Scooby Goes Hollywood, an hour-long ABC television special aired in prime-time on December 13, 1979. From 1986 to 1988, Hanna-Barbera Productions produced Hanna-Barbera Superstars 10, a series of syndicated telefilms featuring their most popular characters, including Yogi Bear, Huckleberry Hound, The Flintstones, and The Jetsons. Scooby-Doo, Scrappy-Doo, and Shaggy starred in three of these movies: Scooby-Doo Meets the Boo Brothers (1987), Scooby-Doo and the Reluctant Werewolf (1988), and Scooby-Doo and the Ghoul School (1988). In addition, Scooby-Doo and Shaggy appeared as the narrators of the made-for-TV movie Arabian Nights, originally broadcast by TBS in 1994 and later released on video as Scooby-Doo in Arabian Nights. Starting in 1998, Warner Bros. Animation and Hanna-Barbera (by then a subsidiary of Warner Bros.), began producing one new Scooby-Doo direct-to-video movie a year. These movies featured a slightly older version of the original five-character cast from the Scooby-Doo, Where Are You! days, and disregards the later Scrappy-Doo years as non-canonical. The movies include Scooby-Doo on Zombie Island (1998), Scooby-Doo and the Witch's Ghost (1999), Scooby-Doo and the Alien Invaders (2000), and Scooby-Doo and the Cyber Chase (2001). Also in 2001, the Cartoon Network produced Night of the Living Doo, a half-hour parody of the New Scooby-Doo Movies format featuring "Special guest stars" David Cross, Gary Coleman, and Big Bad Voodoo Daddy. In 2002, following the successes of the Cartoon Network reruns and four late-1990s direct-to-video Scooby-Doo releases, the original version of the gang was updated for the 21st century for What's New, Scooby-Doo?, which aired on Kids WB from 2002 until 2005, with second-run episodes also appearing on Cartoon Network. Unlike previous Scooby series, the show was produced at Warner Bros. Television Animation, which had absorbed Hanna-Barbera in 2001. The show returned to the familiar format of the original series for the first time since 1978, with modern-day technology and culture added to the mix to give the series a more contemporary feel, along with new sound effects and music. The success of the direct-to-video movies led to Scooby's return to Saturday morning, What's New, Scooby-Doo?, and Hanna-Barbera based later entries in this series of Scooby movies on it rather than the previous editions. The series continued with Scooby-Doo and the Legend of the Vampire (2003), Scooby-Doo and the Monster of Mexico (2003), Scooby-Doo and the Loch Ness Monster (2004), Aloha, Scooby-Doo! (2005), Scooby Doo in Where's My Mummy? (2005) and Scooby Doo in Pirates Ahoy! (2006). Shaggy & Scooby-Doo Get a Clue! is the tenth and current incarnation of Hanna-Barbera's Scooby-Doo cartoon. The program will begin broadcasts on The CW's Kids WB prgramming block in the fall of 2006. Produced by Warner Bros. Animation, the new show will focus solely on the characters of Shaggy and Scooby-Doo. The format will shift towards more of an action-based format: the Mystery Machine now has the ability to transform itself into a number of other vehicles, and Scooby himself can transform and gain powers by consuming special Scooby Snacks containing nano technology. 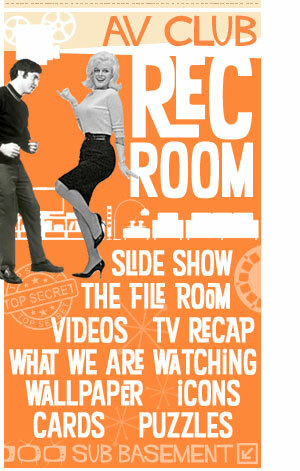 Fred, Velma, Daphne and the original Mystery Machine will occasionally make guest appearances. This show will also mark Scooby-Doo being on four different networks in almost 4 decades. The channels in question are CBS, which aired the original show and the second incarnation, ABC, which aired the preceeding 7 incarnations, The WB, which aired the 9th, and The CW, which will air the tenth in September 2006. 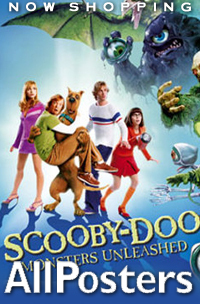 A feature-length live-action film version of Scooby-Doo was released by Warner Bros. in 2002. The cast included Freddie Prinze Jr. (Fred), Sarah Michelle Gellar (Daphne), Matthew Lillard (Shaggy) and Linda Cardellini (Velma). Scooby-Doo was created on-screen by computer-generated special effects. Scooby-Doo was extremely successful, with a domestic box office gross of over $130 million. A sequel, Scooby-Doo 2: Monsters Unleashed, followed in March 2004. Both of these films followed the standard Scooby-Doo formula, while at the same time parodying various elements of that formula. While the first film had generally original characters as the villains (except for one villain revealed as a surprise plot twist), the second film featured several of the monsters from the television series, including the Black Knight, the 10,000 Volt Ghost, the Pterodactyl Ghost, and the Miner 49er. While a successful series during its three separate tenures on Saturday morning, Scooby-Doo cartoons won no awards for artistic merit during its original series runs. The series has received only one Emmy nomination in its four-decade history. Like many Hanna-Barbera shows, Scooby-Doo was criticized for poor production values and formulaic storytelling. In 2002, Jamie Malanowski of the New York Times commented that "[Scooby-Doo's] mysteries are not very mysterious, and the humor is hardly humorous. As for the animation -- well, the drawings on your refrigerator may give it competition." Even proponents of the series often comment negatively about the formula inherent in most Scooby episodes. Nevertheless, Scooby-Doo has maintained a significant fan base, which has grown steadily since the 1990s due to the show's popularity among both young children and nostalgic adults who grew up with the series. In recent years, Scooby-Doo has received recognition for its popularity by placing in a number of "top cartoon" or "top cartoon character" polls. Scooby-Doo is responsible for many pop-culture catchphrases, such as "Scooby Snacks" and variants of the phrase "I'd've gotten away with it, too, if it weren't for you meddling kids," a line traditionally spouted by the culprit when caught and unmasked. This phrase has become so well-known that only the words "meddling kids" need be said to constitute a reference. Subsequent television shows and films often make reference to Scooby-Doo, for example Wayne's World and the television series Buffy the Vampire Slayer, in which Buffy and her monster-slaying friends refer to themselves as the "Scooby Gang" or "Scoobies," a knowing reference to Scooby-Doo. (Coincidentally, Sarah Michelle Gellar, who played Buffy, later played Daphne in the live-action movies.) Even South Park paid homage to Scooby-Doo in an episode entitled "Ko?n's Groovy Pirate Ghost Mystery". The Kevin Smith film Jay and Silent Bob Strike Back included a scene where Jay and Silent Bob are picked up in the Mystery Machine while hitchhiking and both they and Mystery, Inc. get "high" off of "dooby snacks". The TV Funhouse segment of NBC's Saturday Night Live poked fun at the Pup Named Scooby-Doo depiction of the characters, with its own, even younger-aged version, Fetal Scooby-Doo. Family Guy has featured several brief Scooby-Doo parodies, and The Simpsons has parodied the Scooby-Doo character in dialogue.